Are you brave enough to experience the most sensational High Thrill Ride in our Park? 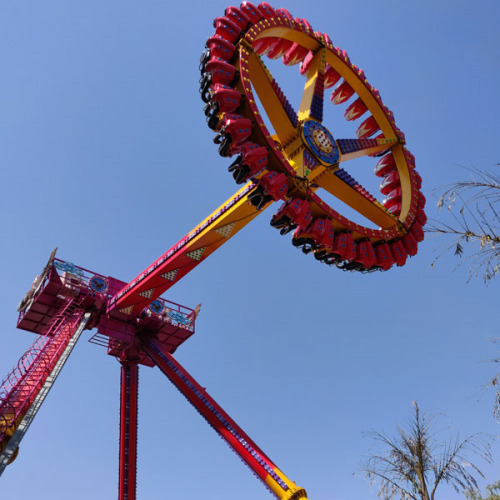 Thrilling Engine pumps up the Adrenaline while you are made to oscillate like a pendulum to great heights in the sky with an angle up to 120 degrees! Here is the exciting part, the whole seating base of the ride revolves while the ride oscillates to and fro. Don’t miss this High Thrill amusement ride situated near the Water Laser Show in our park.